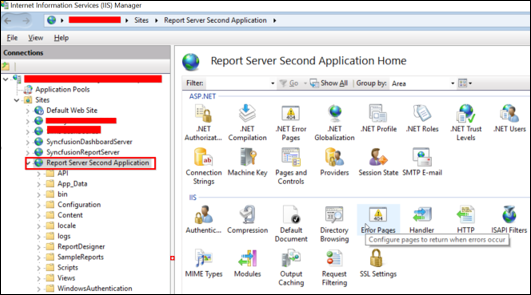 How to deploy multiple instances of Report Server in a single machine? 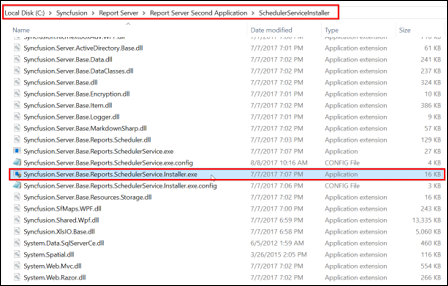 The below list of instructions should need to be followed to create the multiple instances for Report Server in the same Server. 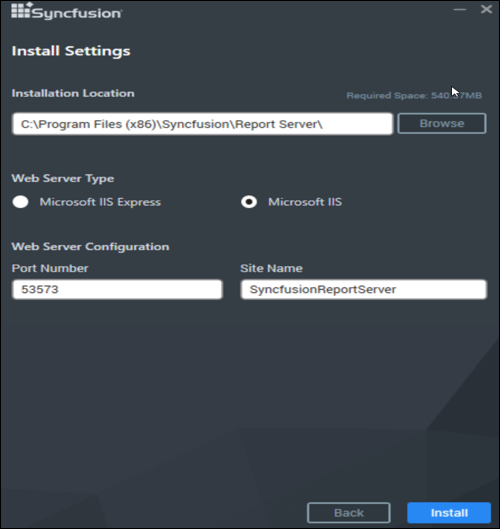 STEP 1: Download and install the latest Syncfusion Report Server in the web server type “Microsoft IIS”. 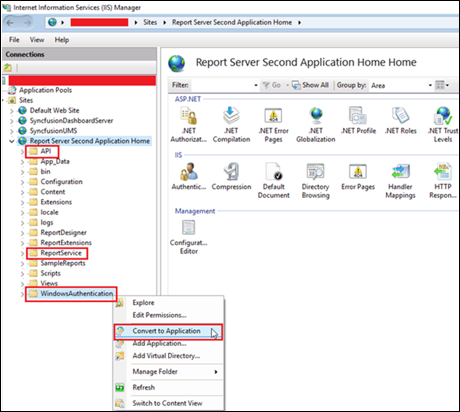 After installation has been done, the hosted Report Server will be listed in the installed machine IIS. STEP 3: Copy the files from the same location and create a new folder in your desired location in the installed machine and paste the files into the folder as below. 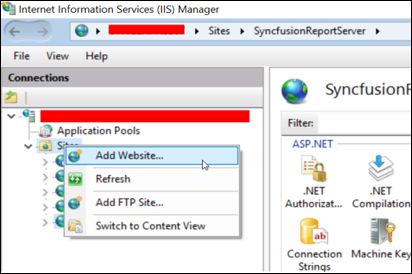 STEP 4: Open ‘Internet Information Services Manager(IIS)’ and right click on ‘Sites’ and click on ‘Add Website’ as below. Site name – Provide the name for the site. 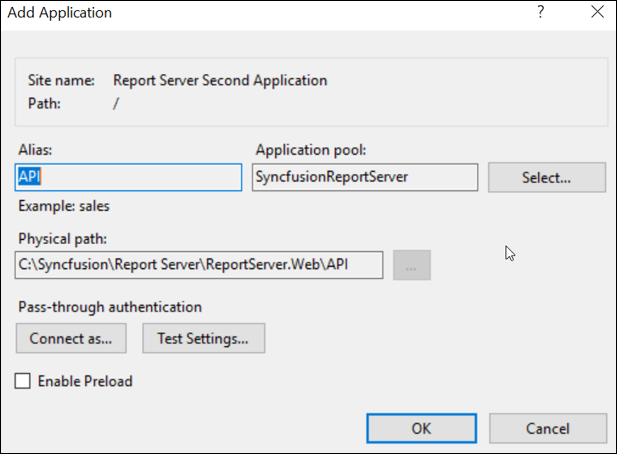 Application Pool – We have created the following Application pool while installation as ‘SyncfusionReportServer’, you can choose the same for your new instance. Physical path – Select the folder “ReportServer.Web” from the location where you have copied your new files. Port – Provide the port number which cannot be used by other applications. 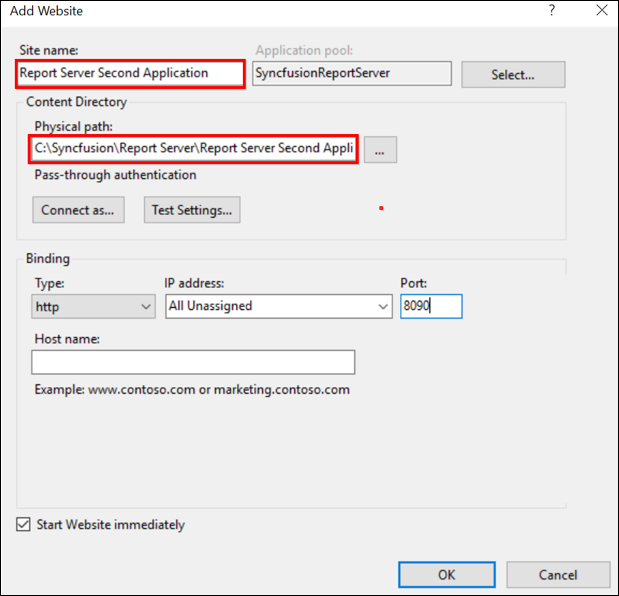 Host name – Provide the host name if you have. After providing all the above details, click on ‘OK’ to create a new instance. STEP 5: Now you can see that the site has been hosted in the IIS as below. STEP 7: Right click on the directory and choose ‘Convert to Application’, the below popup appears and you can click on ‘OK’ to convert it as Application. STEP 8: Now this will act as a separate application. You can create any number of applications in the same way. Please follow the below steps to create the Scheduler service for the new application. STEP 2: Change the value of the Installation Folder. This will be the prefix of the scheduler service name. STEP 3: Now save the file and go the SchedulerServiceInstaller folder of the Second application and run the setup. STEP 4: Now a separate scheduler Service will be started for this application.